65km for Cystic Fibrosis is an endurance walk around a 10.8km track in the beautiful Princes Park and Royal Park in central Melbourne. Either take on the full challenge of walking 65km or just walk as many laps as you feel able. Do it on your own or join with some friends for a great day supporting a great cause. Refreshments and massages will be available to all our walkers. All proceeds will go towards research or clinical improvements for cystic fibrosis. Our Home Base is relocated on Royal Parade. This is a lovely central grass area with large shady trees. Royal Parade has all day free street parking on Saturday. Registration fee includes unlimited water, fresh fruit, course map and massages. 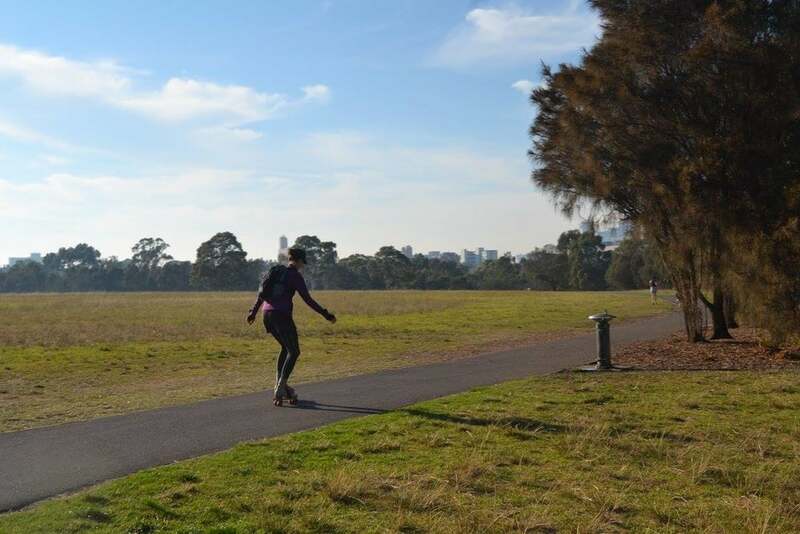 The walk is a 10.8 km loop through Princes Park and Royal Park. The track has marshals at all tricky intersections and regular signposts. The terrain is mostly asphalt with gravel around sections of Princes Park. All entrants will be provided with a course map including mobile contact details should you stray from the course. Regular attendees to this event will be aware of our famous egg and bacon muffins, pancakes and sausages. Our BBQ will be available from approximately 8:30 am until late afternoon. A coffee van will also be at base camp. All proceeds from catering go directly to the event. Water and fruit are freely available to all entrants. With the walk right around the corner, we hope you're training! This is an endurance event, so getting fit and keeping hydrated is important. Please consult our training plan for our 10 week program and some great hints and tips. If you are walking the whole 65 km, allow 12 to 15 hours to complete the event. Over the past five years we have raised over $530,000. This year our event funds will be donated to CF Research at Monash Partners to support research or clinical improvements at Monash Children's, Monash Medical Centre and the Alfred Hospital. This event would not be possible without our wonderful Volunteers. We are always looking for volunteers to our BBQ, course marshals and and physios or masseuses. If you would like to volunteer your time please contact us. We would like to thank the Monash Foundation, Monash Partners and all of our wonderful sponsors. Without their commitment and support this event would not be possible.